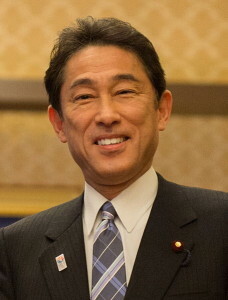 Emerging from talks in a New York hotel, US Secretary of State John Kerry, Defense Secretary Ashton Carter, Japanese Foreign Minister Fumio Kishida, and Defense Minister Gen Nakatani announced revised guidelines for Japanese-US military cooperation, bringing the two countries closer together than ever before as defense partners. The new rules agreed upon call for the possibility of Japan helping US forces who may be threatened by a third party. Japan could also be called upon to send minesweeper ships in the Middle East. The agreement comes at a time when Japan and the US are anxious over actions taken by China to move on to some disputed regions of the South China and East China Seas, although officials deny this is what is motivating them. The statesmen did however mention North Koreas as a potential source of instability in the region. Secretary Kerry emphasized that the US takes the Japanese position on the disputed Senkaku Islands, which China refers to as the Diaoyus, stating that the islands are completely under Japanese control. The US “commitment to Japan’s security remains ironclad and covers all territories under Japan’s administration, including the Senkaku Islands,” Kerry said. Doom and Gloom Ahead for Global Economy? Global Economic Recovery: In or Out?